Moscow on Monday announced new security measures to protect its military in Syria, including supplying the Syrian army with a new S-300 air defence system and jamming radars of nearby warplanes following the downing of a Russian plane last week. Defence Minister Sergei Shoigu said that President Vladimir Putin ordered additional security measures after a Syrian Soviet-era S-200 missile shot down the Russian military plane by mistake, killing 15, in an incident last Monday that Moscow blames on Israel. Putin and Syrian President Bashar al-Assad discussed the additional measures and delivery of the S-300 system on the phone Monday, the Kremlin said. The Syrian military has already been trained to use the system, which was set to be sent over in 2013, but was held up "at the request of Israel," Shoigu said. "In regions near Syria over the Mediterranean Sea, there will be radio-electronic suppression of satellite navigation, on-board radar systems and communication systems of military aviation attacking objects on Syrian territory," he said. Moscow says Israeli F-16 planes which struck Latakia in western Syria on September 17 later used the landing Russian Il-20 surveillance plane as "cover," which resulted in the larger Il-20 being hit by a Syrian missile. The Russian military has said that Israel's airforce informed its command in Syria via the established de-confliction hotline, but only one minute before the air strikes -- and gave the wrong target location. - 'Fired recklessly' - Israel regularly carries out strikes in Syria against Assad's government, its Lebanese ally Hezbollah and Iranian targets. An Israeli military delegation travelled to Moscow last week to share information about the incident. 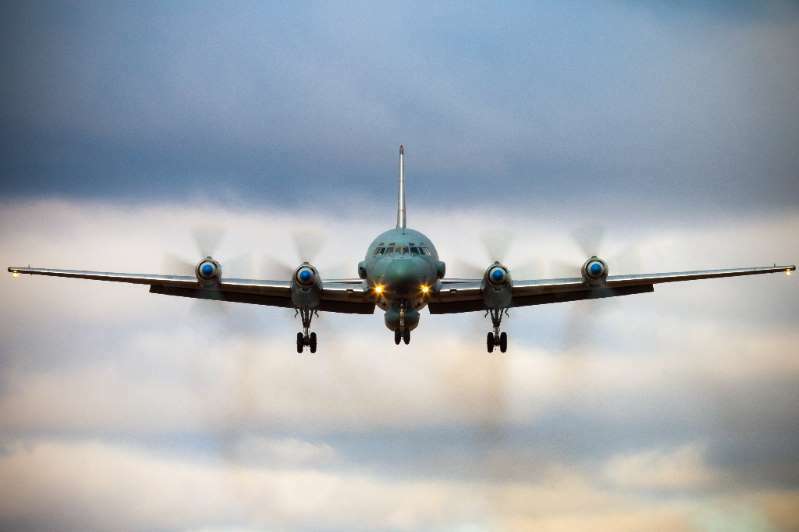 An Israeli official said the information showed that the Russian plane was shot down because Syrian batteries had "fired recklessly, irresponsibly and unprofessionally, long after our planes were no longer there". Kremlin spokesman Dmitry Peskov on Monday said the incident was caused by "premeditated" actions by Israeli pilots, warning that this will harm relations between the two countries. "According to information of our military experts, the reason (behind the downing) were premeditated actions by Israeli pilots which certainly cannot but harm our relations," Peskov told journalists. The incident was the deadliest case of friendly fire between Syria and its key backer Russia since Moscow's game-changing 2015 military intervention. "Russia in this case is acting in its interests only, these actions are not directed against third countries, but towards defending our own military," he said. Shoigu meanwhile said "we are certain that the realisation of these measures will cool the 'hot heads' and will keep them from poorly thought-out actions which threaten our servicemen". A spokesperson for the Israeli army on Monday declined to comment on Moscow's S-300 delivery.